At Burnhamthorpe Dental in Etobicoke, we love what we do. You will find our staff friendly and up-beat, and we'll do our best to make your visit comfortable. Several of our staff have been with us for over 20 years bringing their expertise, experience and skill in cosmetic dentistry, family dentistry, and preventive dentistry, to every patient in order to maintain healthy beautiful smiles that last a lifetime! 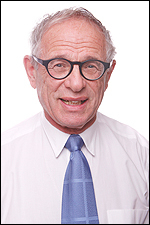 Dr. Henry Nirenberg B.Sc DDS graduated from the University of Toronto, faculty of dentistry in 1972. In 1973, Dr. Nirenberg went into practice in Etobicoke and has spent more than 40 years building strong relationships with families in the Etobicoke community. He has grown his family dental practice to welcome patients of all ages including children, adults and seniors with a focus on preventive dentistry. Received his diploma in denturism in 1985. He specializes in full and partial dentures, as well as implant and attachment retained prosthesis. 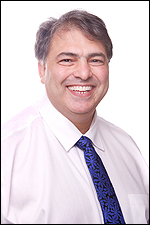 Harry was a former full time professor at George Brown College and is an active member of the Denturist Group OF Ontario. 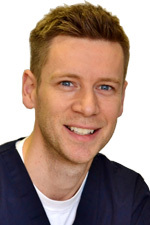 Harry enjoys servicing his patients and the community with a smile,with a firm commitment to improving the smile and function of their prosthesis. Dr. Van Winckle obtained his Doctor of Dental Surgery degree with honours from the University of Toronto. Dr. Van Winckle enjoys getting to know each of his patients, and understanding their individual needs, to provide a positive dental experience. In his spare time he enjoys spending time with his daughter, playing basketball, rock climbing, skiing, and golfing. Susan is our Office Manager. She has been with us for over 25 years, and because of her extensive experience in the dental field she is a book of knowledge. She also is a certified level 2 dental assistant. It didn't take us long to recognize her passion for patient care and delivering this service for which she stands for everyday. She will ensure that your experience with us from the time that you arrive at the office to the time you leave is pleasant, punctual and satisfying. 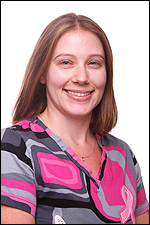 Her excellent understanding of dental treatment will ensure all of your questions will be answered. From appointments to payment plans her caring attitude leave our patients with a clear understanding of their benefits and will assist in ensuring you are always maximizing your dental plan. This is why so many of our patients will come by just to drop in and say hello to her. Her hobbies include reading, movies and spending time with her family. Pauline graduated from Dental Hygiene at Cambrian College in 2002 and with the desire to learn more in dentistry, she completed her certificate in Restorative Hygiene in 2006 at the University of Manitoba. Pauline is registered with the Canadian Dental Hygienists of Ontario and is authorized to self-initiate dental hygiene treatment. 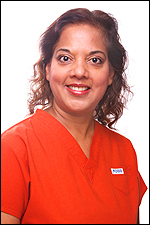 She is also a member of the Canadian Dental Hygienists Association. 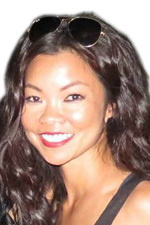 Outside her duties as a Dental Hygienist, Pauline enjoys teaching Yoga, running and traveling. 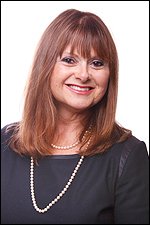 Joanne has been in the dental field for over 25 years. For the last 19 years she has been a practicing dental hygienist. Within those 19 years, 6 were spent working as a hygienist in Switzerland. This will be the 9th year that she is a member of our hygiene team. 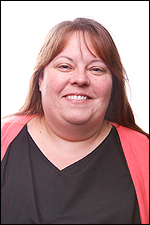 She has a great rapport with all the patients and carefully listens and addresses their dental concerns. She has a desire to keep learning as much as she can in dentistry, and outside of the office her hobbies include Art, Photography and Food. 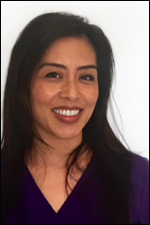 Dulce has been with our office since 2012 as a hygienist. Upon graduating as a certified dental assistant in 1996 from George Brown College and working a few years, she upgraded her credentials by completing the Level II assistant program through the ODN & AA. To further her career Dulce then studied Dental Hygiene at Georgian College and graduated in 2002. Several years later, Dulce returned to George Brown College to complete the Orthodontic Clinic for Dental Hygienists. As a new challenge Dulce completed her Teacher/Trainer of Adults Certificate with Humber College and also works as an instructor for a private dental hygiene school. Along with the team, Dulce actively participates in ongoing education and always strives to improve in any way. On her spare time, Dulce loves to eat, bake, listen to music and spend time with her family. 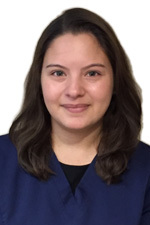 Annamaria graduated from George Brown college as a level II dental assistant. She actively helps out wherever she is needed. Her positive attitude and willingness to learn has helped her to progress in the field rather quickly. In doing so, she has taken on many opportunities such as, assisting an oral surgeon, fabricating sports mouth guards and whitening trays, polishing teeth, applying flouride treatment, placing orders, managing inventory and much more. In her free time, Annamaria enjoys singing and dancing.